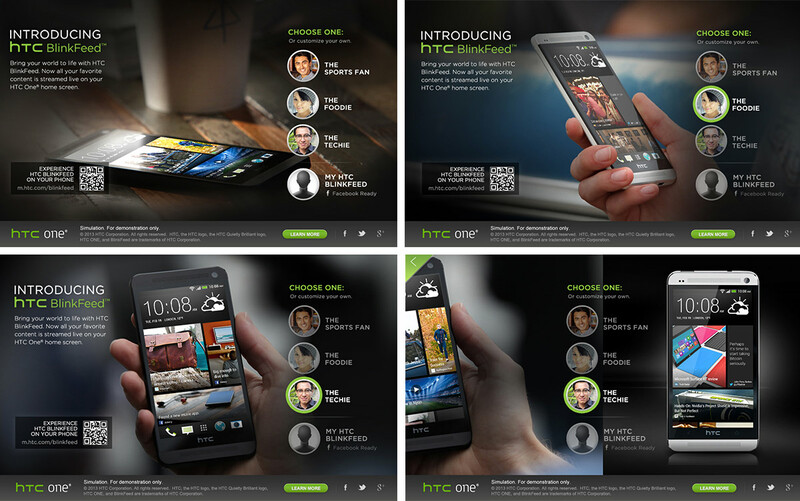 HTC Blinkfeed is the re-engineered home screen of the new flagship HTC ONE smartphone, which like flip book or Windows tiles, provides the user with a constant stream of aggregated news, information, and social media. 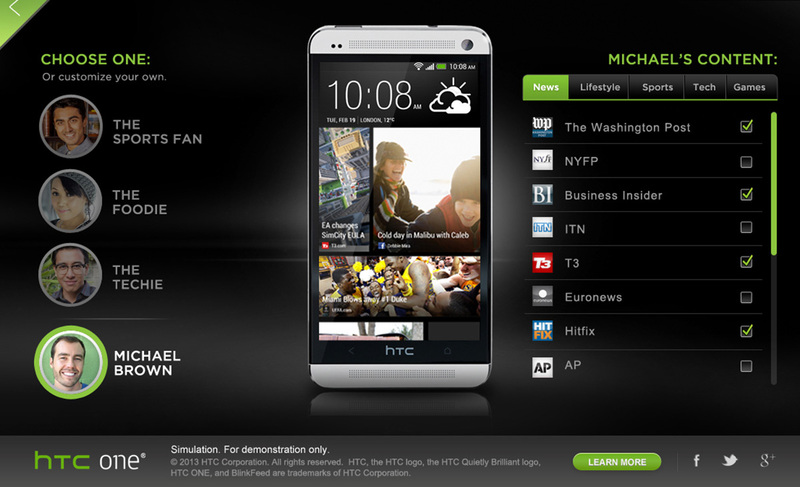 We wanted the audience to experience Blinkfeed for themselves in a "real-time, real content" demonstration. 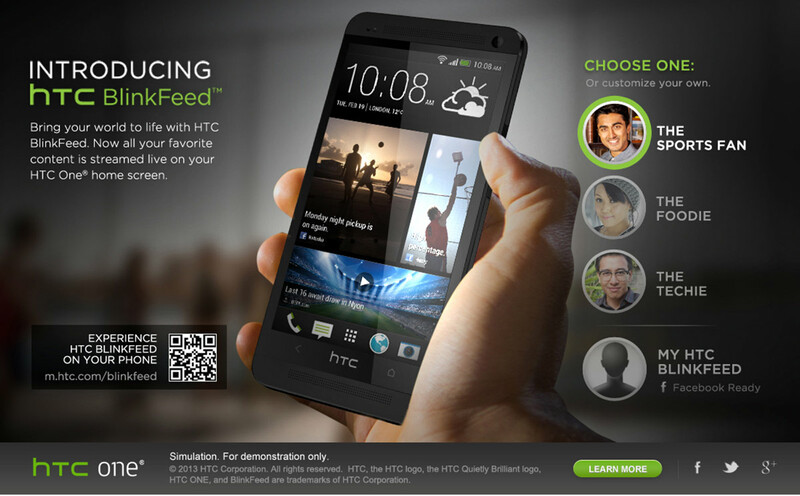 The Blinkfeed emulator, which was designed to work on desktop, tablet and mobile, allows for 3 levels of user engagement: First, the user can experience Blinkfeed through the lens of a pre-curated persona. 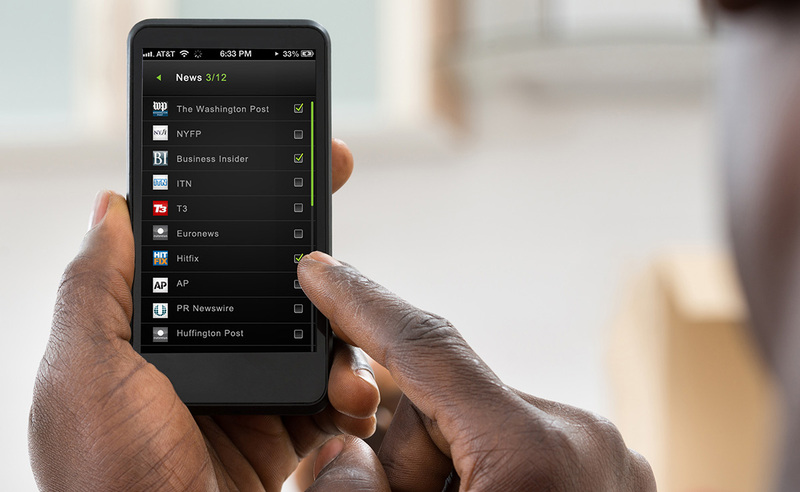 Second, the user can configure their own Blinkfeed by selecting from a vast list of content providers. And third, the user can pull their friends' status updates directly from Facebook. 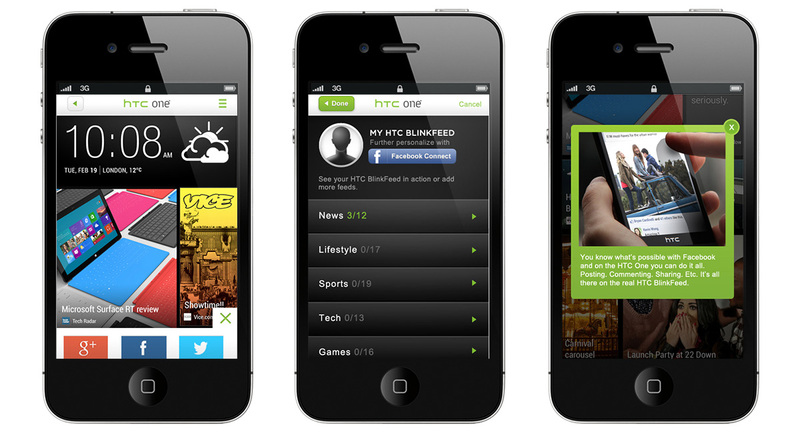 The user is invited to chooses from one of three personas: the sports fan, the foodie, or the techie. 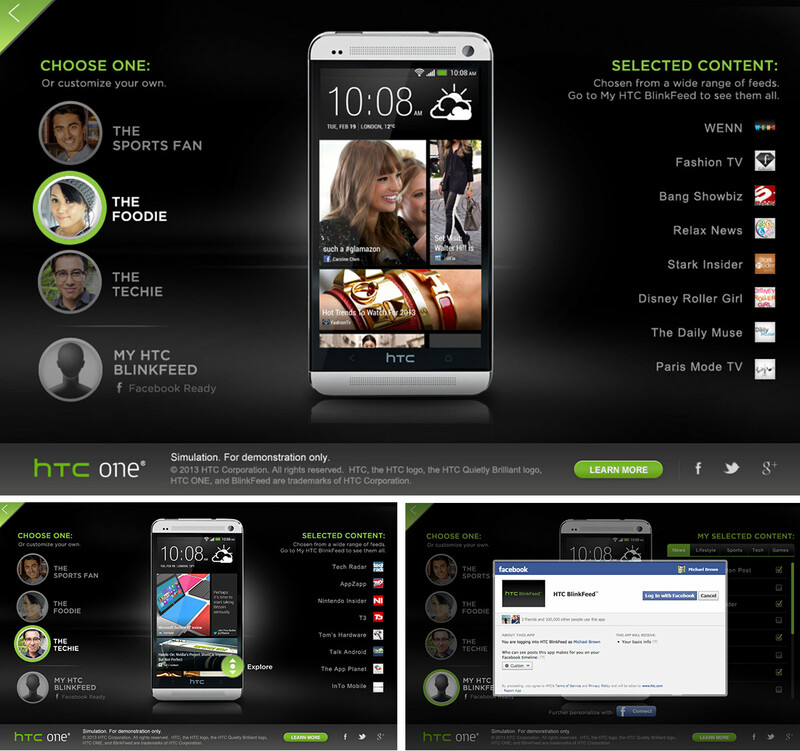 Once a persona is selected, the screen transitions to emulator mode where an HTC One is featured front and center loaded with curated content in its blinkfeed. 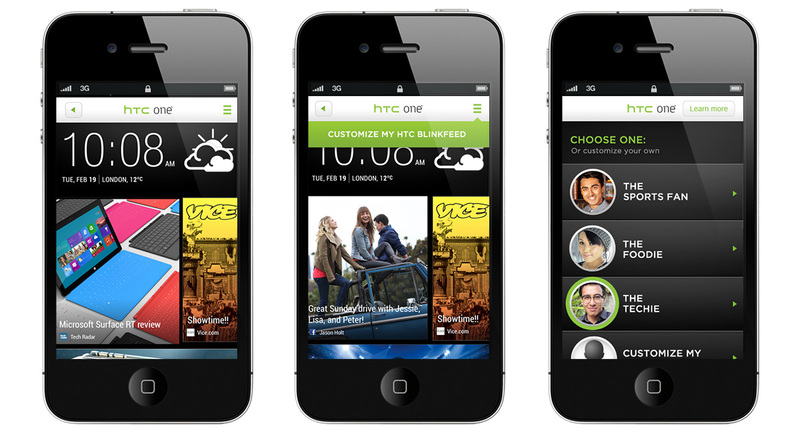 The user can personalize their blinkfeed even further by accessing Facebook. This loads data including your name, location, profile image, and posts from your social network. The emulator needs to shine here as this is where users get the most true-to-life depiction of how Blinkfeed looks and feels on their mobile device.